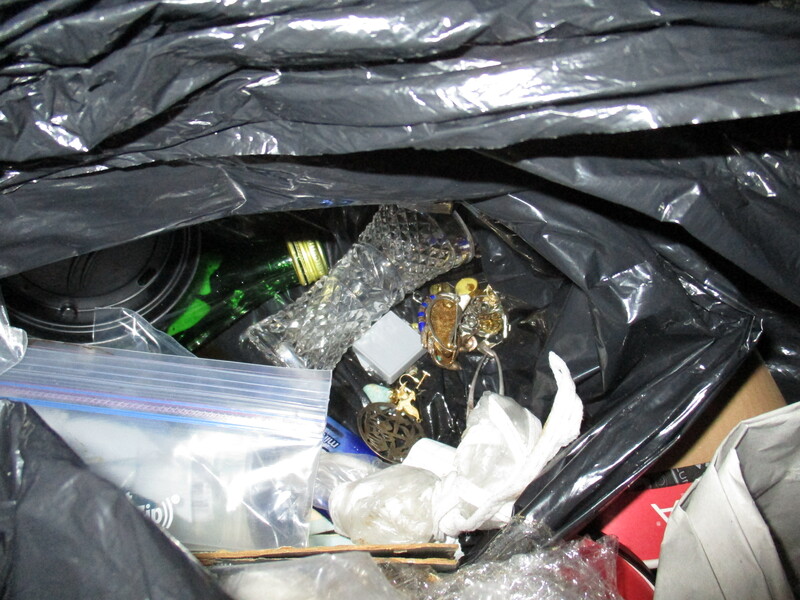 When I’m looking through trash I’m often hoping to find jewelry. It’s simply the most predictable (if irregular) way to quickly make money from trash. I’ve found a few hoards with values north of 1000$, including a collection featuring some great modernist and brutalist pieces, a pillowcase full of vintage jewelry, and a bunch of gold in Rosemont. 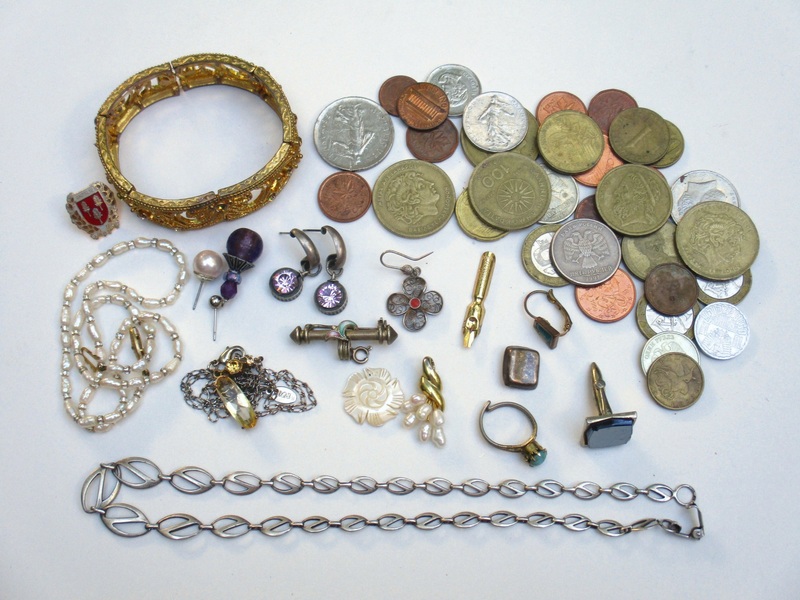 I also like that jewelry is small and easy to store – a great quality for someone with constant storage space issues. 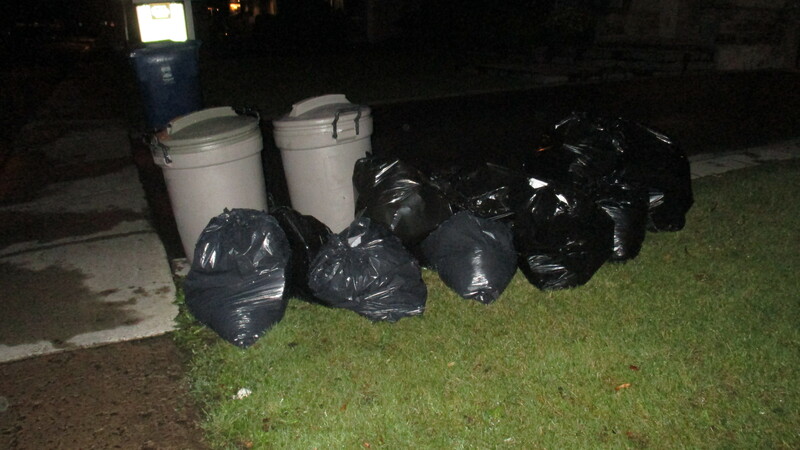 I came across this huge post-estate sale pile last Thursday night. There was a tonne (maybe literally) of useful stuff that should have been donated. I saved a good number of items but most of it wasn’t compelling enough to bother sharing on the blog. Most of the best stuff is gone after the sale. I’ve actually had better luck finding things before the sale – family and liquidators sometimes toss treasures in their rush to get organized. Not expecting to find anything in the way of precious antiques I mostly hoped to come across a little cache of jewelry. It just go happens that I did find one, mixed in with the food waste no less. The collection wasn’t worth nearly as much the ones I listed earlier. However, there were still some nice items that I should be able to flip for a bit of money. The enameled cat brooch at back left is the most unusual piece. It’s marked “silver”, which is a simple stamp I haven’t seen previously. It’s in nice shape, though there is some damage to the enamel. Below it is a (modernist?) silver ring, while to the right of that is a single sterling silver earring. It has a distinctly brutalist design, and I tried hard without any luck to find the second. 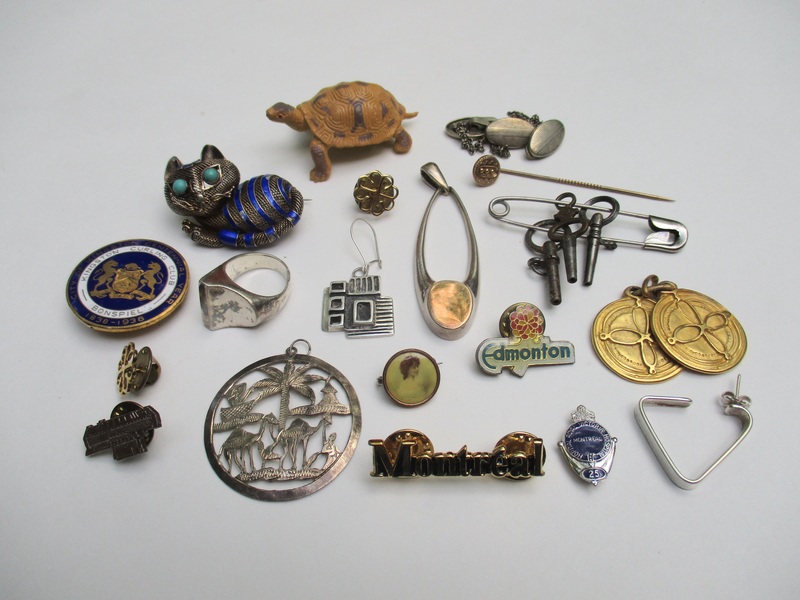 I otherwise found: two more silver pendants; another single silver earring (which is destined for the scrap pile); a silver Royal Victoria Hospital pin; an old brooch featuring a small portrait of a woman; and a pin for a 1938 Kingston Curling Club bonspiel. 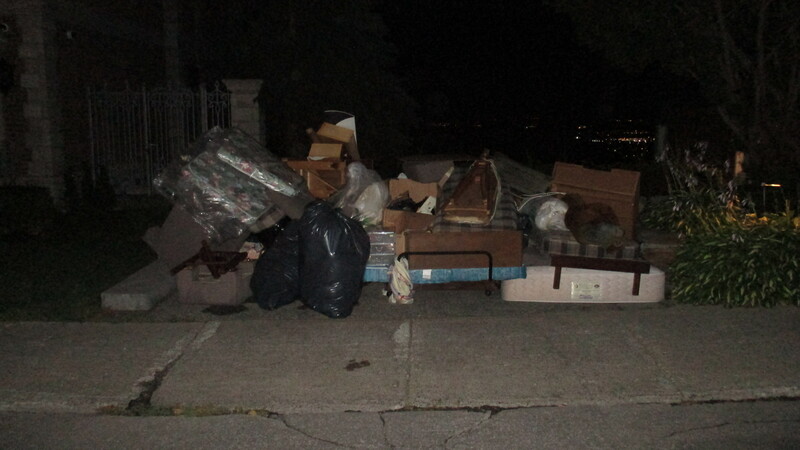 I came across another small collection Monday night in NDG. It wasn’t nearly as interesting as the last but I found a few nice costume jewelry pieces and around 10$ in silver scrap. There were also a bunch of foreign coins in the same bag. Later that night a spot in Hampstead produced a nice Mexican silver pendant (bottom left). 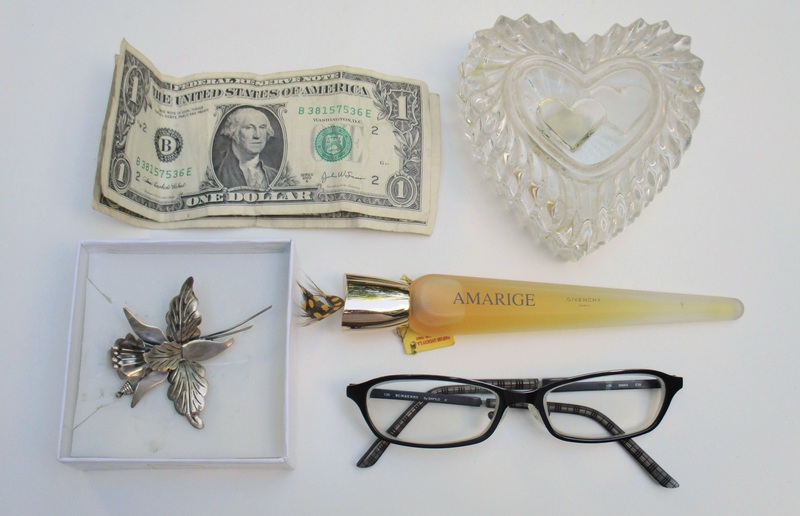 I also found two American dollar bills, a heart-shaped crystal glass dish, a bottle of Givenchy perfume (Amarige), and a pair of Burberry glasses. It’s been a solid week or so for jewelry! I haven’t found gold for a little while though. I’d like to find some of that, because even junk gold is worth a fair bit when sold for scrap. … did so again this week. 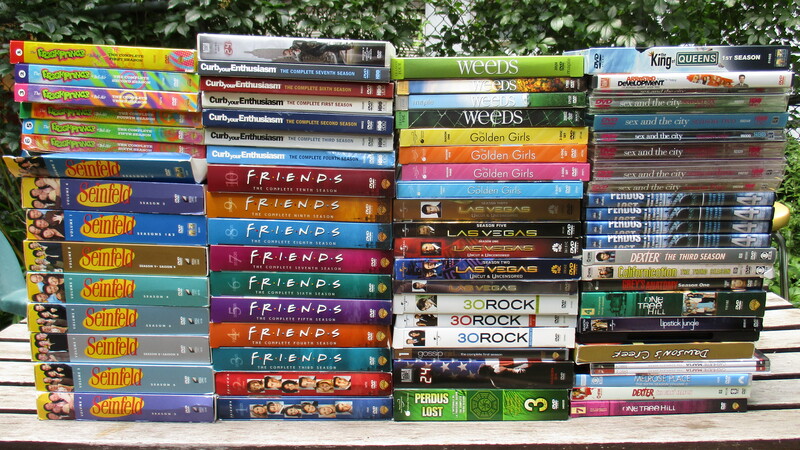 These people must have spent over 1000$ on their collection originally. They’re obviously not worth that much anymore but I might be able to get a nice price for them yet. I currently have the collection listed on Kijiji in hopes that I can find a bulk buyer. I like the idea, but there’s not really enough money in it to make it worthwhile (at least for me). If you did want it though maybe I could send it to you for a small fee. Let me know! It hasn’t been melted yet. you are so amasing! i find a lot of stuff every day but directly on the street! Juts working and taking whats people throw away… i give the stuff to my children or on different fb page. I m scared to see that people throw away so much good things when you can just offer them to an organism!Tthat s make no sense for me… Fortunaltely you are there, to recycle all this beauty! And the Mexican silver pendant too. Maybe some of these will end up in your Etsy store? When I zoomed in on the first jewellery picture, I saw an eye staring at me from the middle square of that lone silver earring in the centre. 😛 Is that actually on the earring or is it just a trick of light from the camera? Lol, I saw that too! Just an illusion I think, one caused by the previous owner not cleaning out their silver cleaner particularly well. I have sold that cat pin before on Ebay, I can’t link mine since the sale was to long ago but some sold recently for $65-85. I sold mine for $70-ish. Look up “silver enamel cat pin”, highest to lowest it should pop up maybe 5 down 🙂 Best of luck.